American painter Norman Lewis studied at the Savage School of Arts and Crafts and Colombia University. He began his career painting figurative scenes, but turned to abstraction in the mid-1940s, and is now considered one of the first African American Abstract Expressionist painters. Lewis received the Carnegie International Award in painting in 1955. In 1963, he was a founding member of the Spiral Group, a group of African American artists who sought to contribute through their art to the civil rights movement. 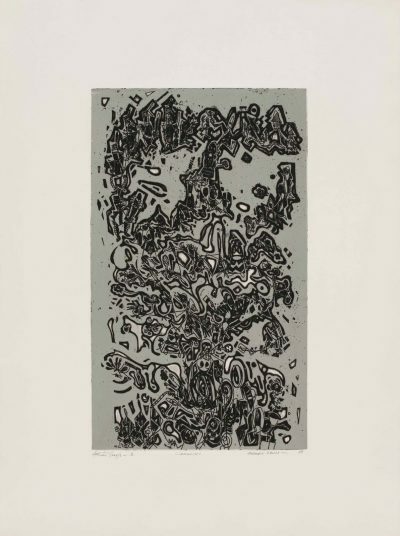 Lewis received a National Endowment for the Arts Grant in 1972 and a Guggenheim Fellowship in 1975.